South Africa's main opposition party, the Democratic Alliance (DA), has emerged as a thorn in the flesh for President Emmerson Mnangagwa in the wake of a vicious military clampdown against opposition and civil society groups following protests that brought Zimbabwe to a standstill over a fortnight ago. 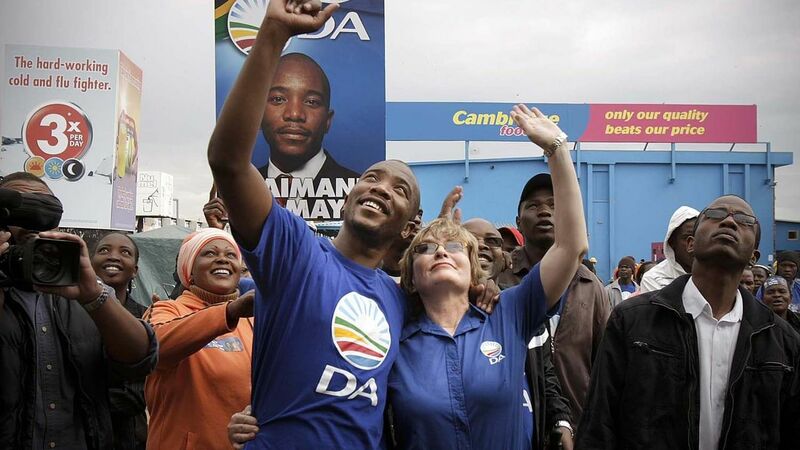 DA leader Mmusi Maimane, who also leads the Southern African Partnership for Democratic Change (Sapdc), is pressing for a meeting with Mnangagwa this week to discuss the Zimbabwe crisis. The vice-president, retired army general and former Zimbabwe armed forces head (Constantino) Chiwenga's use of force to repress peaceful protests and grossly violate human rights serves a threat to the safety of the people of Zimbabwe, an impediment to the advancement of democracy in the region and a threat to regional peace and security. OM: Are you worried that South Africa's ruling party, the ANC, only this week pledged its support to Mnangagwa and the Zanu-PF government? Does that not render your campaign futile? MM: The ANC has made it clear that it will sit quietly on its hands and be spectators to the rule of man over the rule of law across our border. Two days ago ANC insiders paid a "solidarity visit" to Zanu-PF officials. The ANC has coalesced with a former liberation movement turned dictatorship in plain sight, where ANC secretary-general, Ace Magashule, referred to "the time to consolidate and strengthen our relationship." MM: Because President Cyril Ramaphosa is beholden to the policy of his ANC keepers. The ANC departed from (Nelson) Mandela's human-rights based foreign policy at the turn of the century under Mbeki in place of a foreign policy of "quiet diplomacy". MM: President Mnangagwa's security police must stop erecting roadblocks and conducting search and seizure operations of peaceful protestors, the over 700 people who have been arbitrarily arrested and not afforded due process must be released immediately and the censorship of internet providers as overruled by the Zimbabwe High Court must stop being used as ‘brush' to these gross violations of human rights under the rug of a security state. MM: ‘Big men' politics as practiced by Zanu-PF's President Mnangagwa and the ANC's President Cyril Ramaphosa elevates the rule of man over the rule of law. This ‘big men' politics is practiced under the guise of the principle of respect for non-intervention in sovereign states. OM: What do you think could have been done better in efforts to democratise Zimbabwe after Mugabe's fall? Similarly, reports that last year's elections in Zimbabwe were not free and fair further undermined cornerstones of democracy in that country. OM: Zanu-PF and the government say you are doing the bidding of imperialists by intervening in Zimbabwe. What is your reaction to that? The Zanu-PF-ANC governments' coalition of oppression is no different. It is the story across Africa.